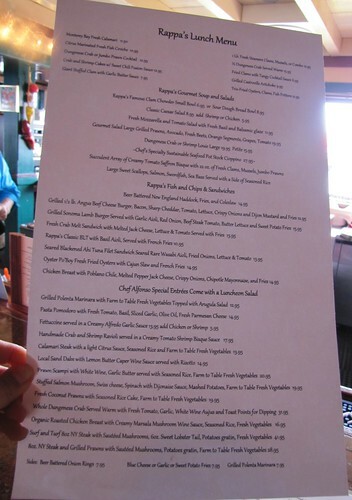 has just scored a new chef and a totally revamped menu! Alfonso Martinez joined Rappa&apos;s two months ago and has since transformed the menu to include fresh, local and sustainable ingredients. 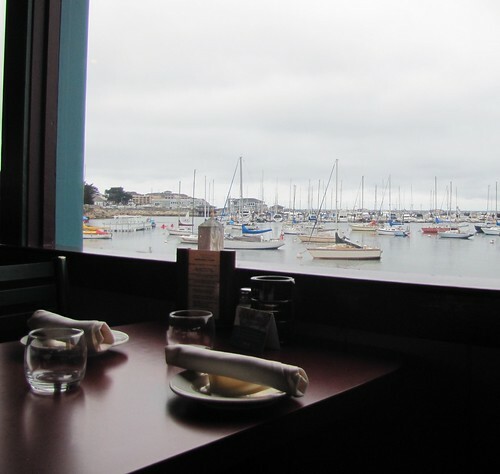 Chef Martinez has brought in elements from his diverse background at foodie hot spots such as Mustards Grill in Napa, The Restaurant at Ventana in Big Sur and the former Portola Café at the Monterey Bay Aquarium. 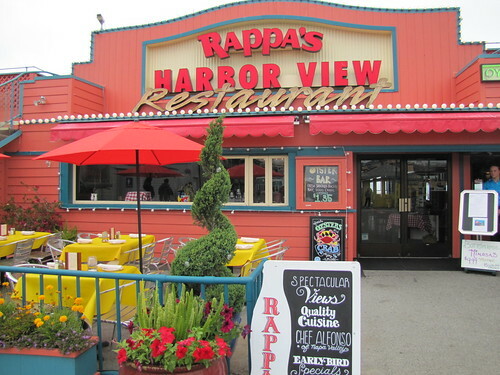 Rappa&apos;s located on the edge of Old Fisherman&apos;s Wharf is an adventure for your taste buds that you do not want to miss. 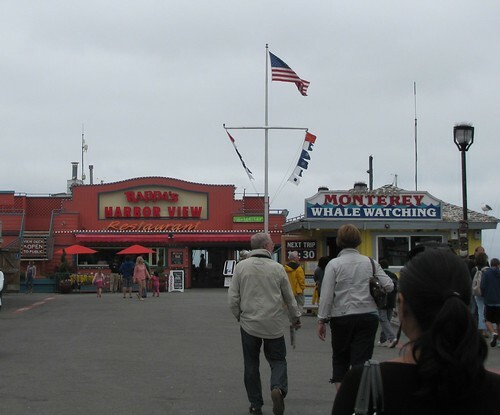 The wooden maroon seafood restaurant is one of the main attractions on the wharf; with expansive views of the Monterey Bay, the Commercial Wharf and Coastguard Pier. 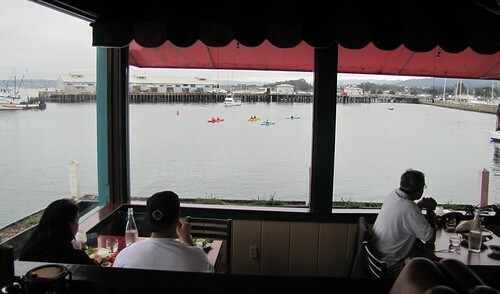 Every table has a picture perfect outlook of the bay&apos;s hustle and bustle but if you really want spectacular vista climb the outdoor stairs to the deck. 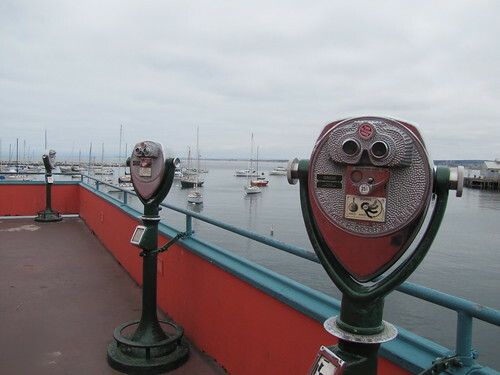 Here you will find iconic views of Monterey where you just might see harbor seals, sea lions and sea otters frolicking below you. It&apos;s amazing to think this family-owned eatery started out as a simple snack bar over 60 years ago and still remains in the Rappa family; with additions to the menu of course. 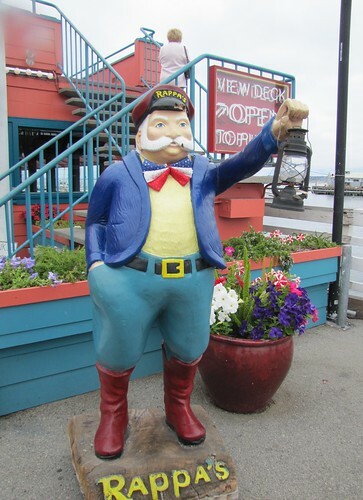 While you can still order classic wharf fare like fired calamari and clam chowder, the real star of the show are the items that are unique to the wharf; where else can you find corn fritters or osso buco ravioli? During a recent visit I tried just that, along with some other tempting dishes. First up was a crab spring roll and corn fritter. The spring roll was the perfect starter course; fresh crunchy vegetables were wrapped up tight with a generous portion of shredded crab meat and a tangy cream sauce. The corn fritter was one of my favorites! 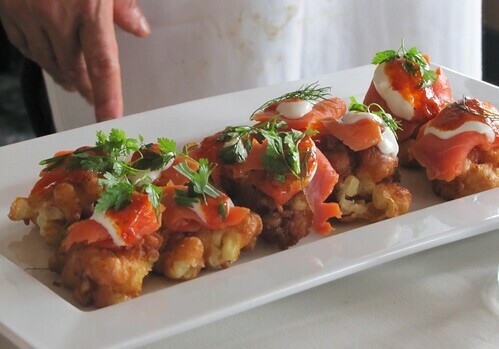 Chef Martinez had somehow taken actual kernels of corn and deep fried them with a light and fluffy batter; if that wasn&apos;t enough, he topped them off with fresh pieces of smoked salmon, delish! 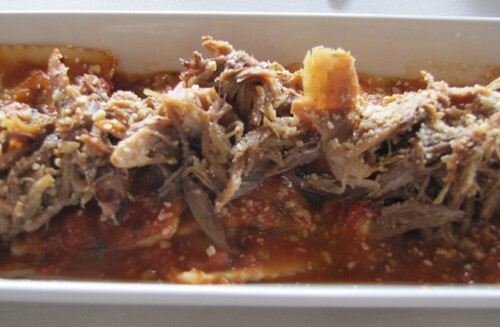 "First course" was followed by the osso buco ravioli. Shredded melt-in-you-mouth hunks of osso buco (braised veal) and homemade marinara sauce were slathered across three cheese stuffed raviolis; need I say more? The grand finale was the baked salmon. 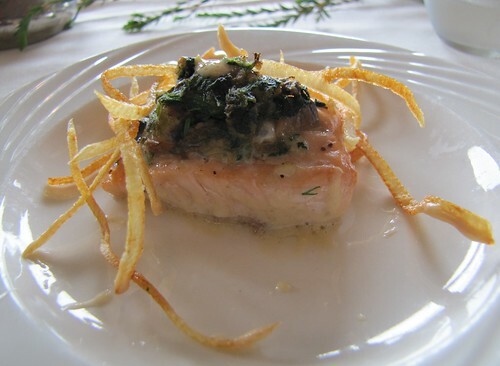 The delicate fish was topped with an amazing mushroom, spinach and Swiss cheese concoction drizzled with a light dijonaise and lemon sauce. The fish was incredibly moist on its own but the added topping gave it a zesty and invigorating flavor. Finally, dessert! Rappa&apos;s serves up all sorts of delicious sugary confections including a "Death-by-Chocolate Cake" and "Superb Carrot Cake." 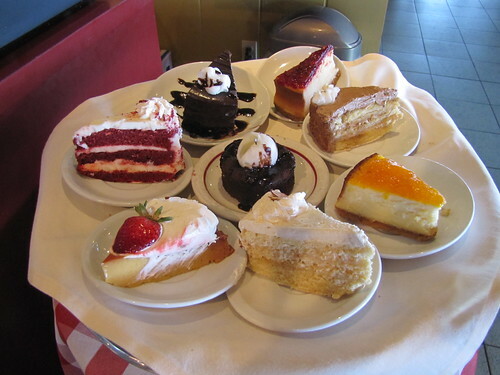 My table opted for the New York Style Cheesecake which was toped with a fresh strawberry glaze. At first bite, I was in love. 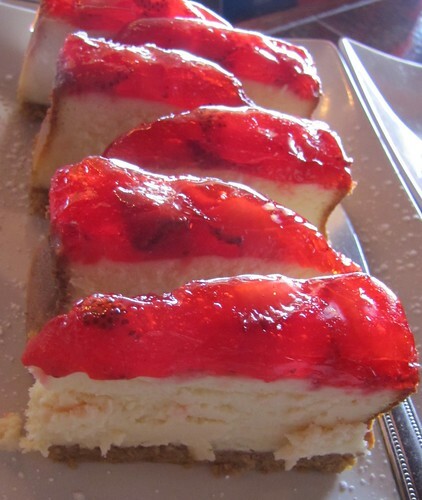 The decadent cheesecake was sinfully rich and the strawberry drizzle gave it just the right amount of sweetness. Next time I&apos;ll be back for the "Death by Chocolate!"